The IRA, and the whole period of the ‘Troubles’, has come to occupy a curious corner of the English consciousness. A decade-long focus on a militant threat that proved terrifying in its complete ‘otherness’ emerged just as the peace terms of the Good Friday Agreement had put in place a clearly misplaced sense of security. As a result decades intermittently punctured by bombing campaigns, shootings and turmoil can sometime seem a quaint part of the nostalgic ‘little England’ experience; a part of our colonial history long since resolved. That it is so easy to forget just twenty two years ago Downing Street was targeted with a mortar and during the decade before there those living in Great Britain waging a lethal campaign against the mainland makes the whole situation, in hindsight, appear surreal in the extreme. In actuality the actions of both the IRA and the Government were brutally, terribly real. If the atrocities that continued to mount through the 1980s, which include but don’t end with the events detailed in ‘Gibraltar’, eventually forced both sides to the negotiating table then it did so with significant blood on the hands of all involved. Taken in this context it is hard to pick fault with the aims of Gibraltar – a new play written by Alastair Brett and Sian Evans, which examines the background to the infamous ‘Death on the Rock’ incident where the SAS shot three unarmed members of the IRA. It also portrays the inevitable press backlash to the testimony of those that dared question the account of ‘our brave boys’. 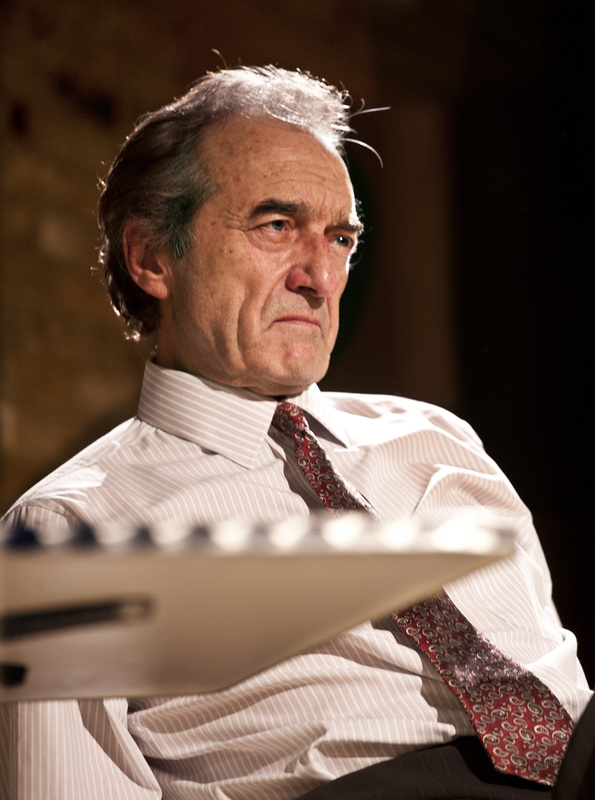 In such a loaded environment Alastair Brett is an intriguing figure to write the play. Previously Legal Manager to The Times and intimately involved with a libel action concerning Carmen Proetta (broadly the character of Rosa), the position of the play is pointedly opaque. There was a risk that the play would be distastefully myopic in its presentation of the facts but it soon becomes clear that there is little love between Brett and his previous colleagues – a number of caustic jibes are thrown in that certainly go a little further than an attempt at even-handedness.